Sat, 30th May and another trip down the M5/A30 – a well travelled road for me this year! 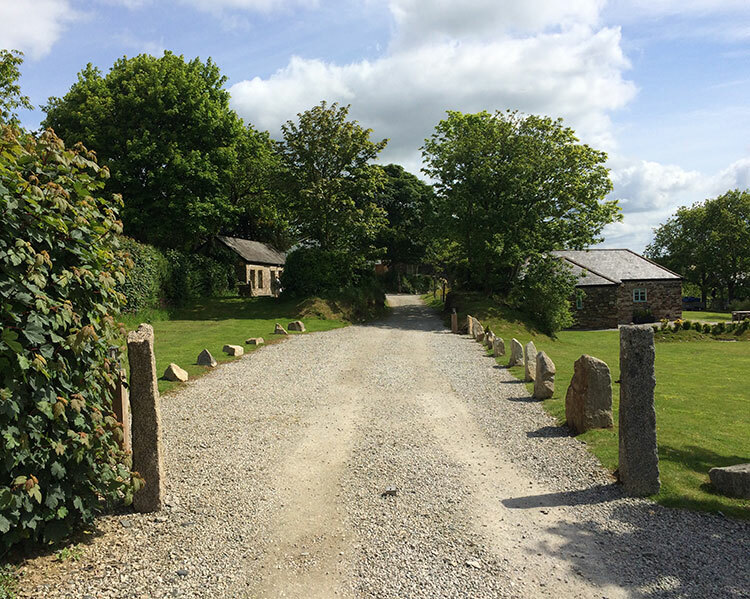 Today’s venue was The Green Cornwall, a stunning self-contained wedding venue in the beautiful Cornish countryside. I arrived to the venue in the pretty village of Upton Cross, near Liskeard in the morning to another bright, sunny day – keeping up my 100% record of good weather at weddings this Summer! I’ve often joked with couples that I’m a good luck charm when it comes to weather – more often than not it seems to turn out fair. Maybe the UK weather’s not actually as bad as we think…?! 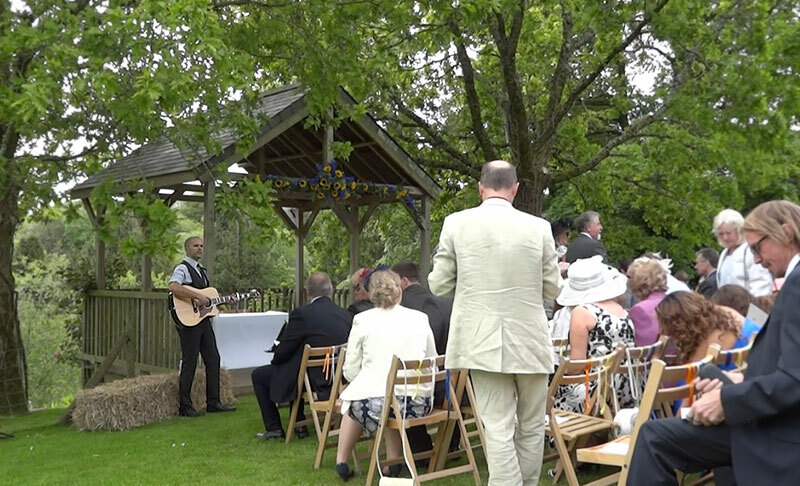 Anyway, plenty of time for me to get ready for the outdoor wedding ceremony – and a chance for me and the bride’s sister to do some practice; bravely, she sang “Somewhere Over The Rainbow” during the bridal entrance with my guitar accompaniment, which we rehearsed in the morning. 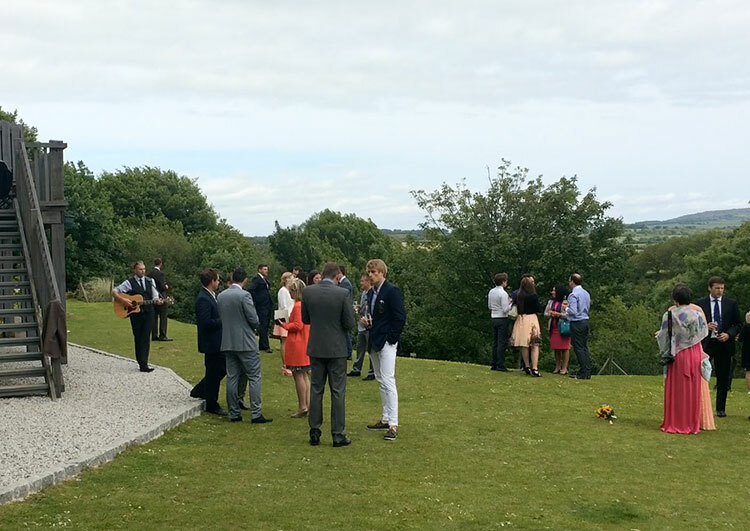 At about 11.30am I made my way down to the ceremony area with my guitar. 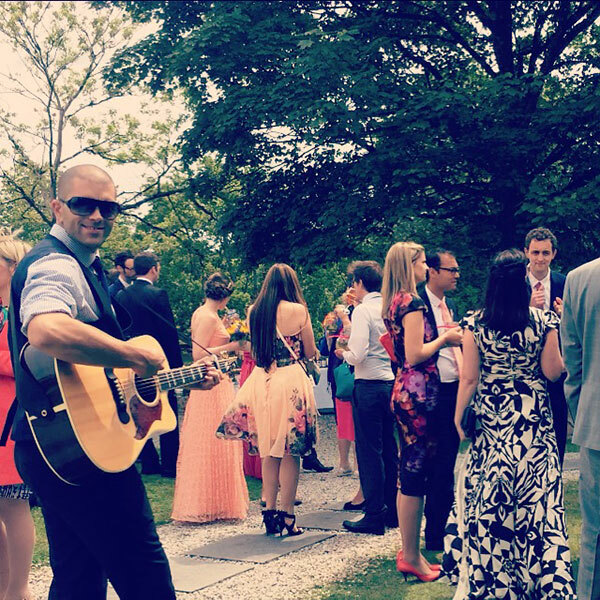 This venue doesn’t permit outdoor amplification of any kind, so I was playing unplugged today – some subtle ambience! The big moment arrived at 12am, and the bride’s sister did an incredible job singing the bridal entrance song – a really emotional moment. We had some more acoustic songs during the signing of the register, then the happy newlyweds exited their beautiful ceremony as I played Higher & Higher by Jackie Wilson. We then moved up towards the main building where drinks were served and canapés were brought out. As guests mingled, I roamed around playing some acoustic tunes chosen by Mark & Shona. I covered as much area as I could so that everyone could hear the music – it’s quite unusual for me to play completely unplugged but it works nicely for some subtle background ambience. 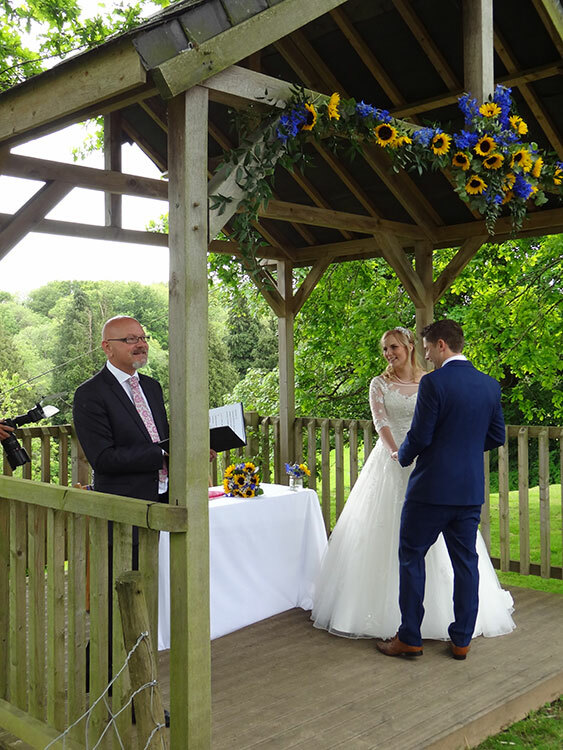 A stunning day all round – congratulations to Mark & Shona and hope everyone enjoyed the music. 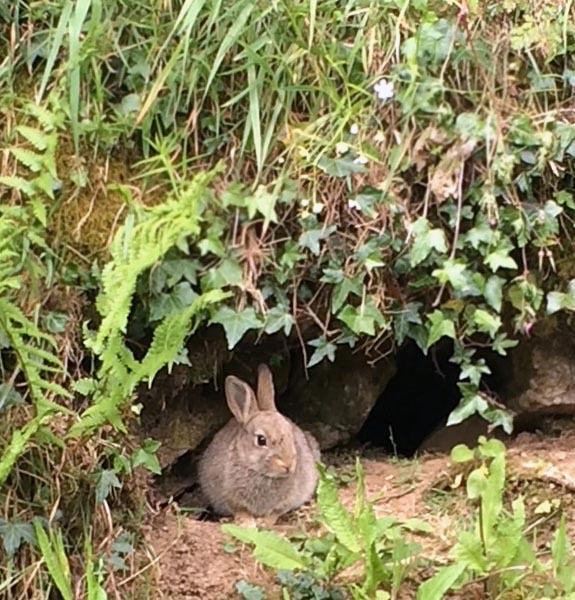 I had a great day… and on the way out had a close encounter with some local wildlife! 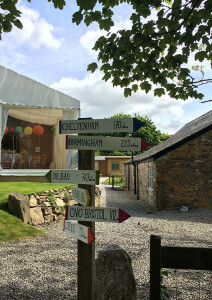 This entry was posted in News, Wedding Guitarist Blog and tagged acoustic, Bodmin, ceremony, Cornwall, entertainment, guitar, guitarist, Liskeard, live, live music, music, performance, singer, singing, St. Austell, Upton Cross, wedding by Pat McIntyre. Bookmark the permalink.